After the shelves were cleared on “Black Friday” and virtual carts were loaded on “Cyber Monday,” consumers were encouraged to be charitable on the new holiday dubbed #GivingTuesday. On November 27, individuals across the country gave donations to their favorite charity or volunteered their time to help those in need. 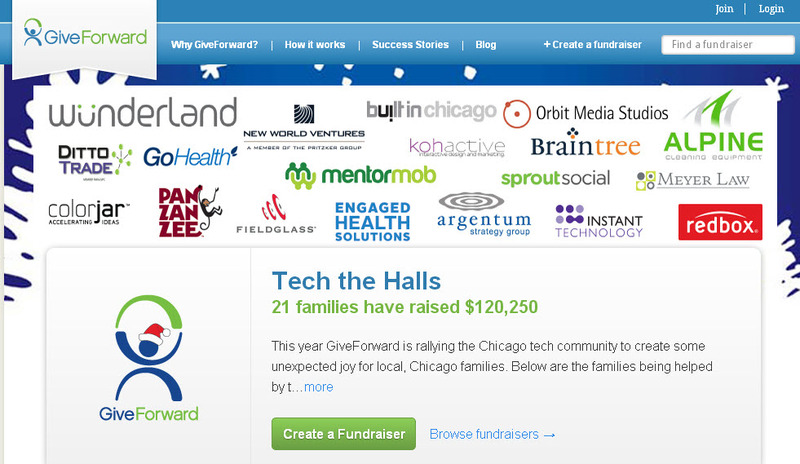 As part of the holiday, our client GiveFoward partnered with tech companies in Chicago for GiveForward’s “Tech the Halls” initiative. This program collected more than $100,000 in donations for those seeking financial assistance to pay their medical bills through GiveForward.com. To help spread the word about the program, LCWA secured placements in the Chicago Tribune, Daily Herald, Crain’s Chicago Business and a nearly five minute segment on WMAQ2-TV’s “The Talk.” Because of the initiative, GiveForward experienced one of its best days for receiving donations since its inception in 2008. Hats off to our client GiveForward for rallying companies and consumers alike to give back!